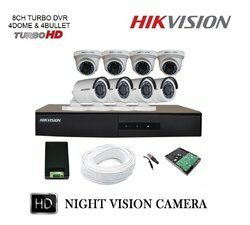 - Hikvision 8CH Turbo HD Metal Body DVR with 1MP (720P) Plastic Body 4 Dome & 4 Bullet Cameras Full Combo Kit. - Hikvision DS-7B08HGHI-F1 OR DS-7208HGHI-F1 1MP (720P) 8CH Turbo HD Metal Body DVR 1Pcs. - Hikvision New Upgraded DS-7A04HGHI-F1 4CH Turbo HD Mini DVR 1Pcs. 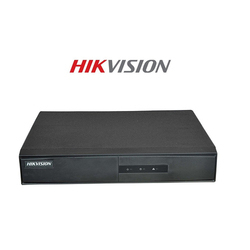 In order to cater to the numerous necessities of the patrons, we have been able to provide a wide range of Hikvision Turbo HD DVR.